Our March boxes should be with all our UK subscribers by now and our international subscribers should be receiving them very soon. We hope you will enjoy what we have selected for you this March. We have Huoshan Huangya Yellow, Lelsa Pai Mu Tan, An Assam Doomni Special and Darjeeling Autumnal Rohini. Whether you are already tasting our tea selection or still looking forward to it, here is the handy little guide with details of all the gourmet loose tea this month. 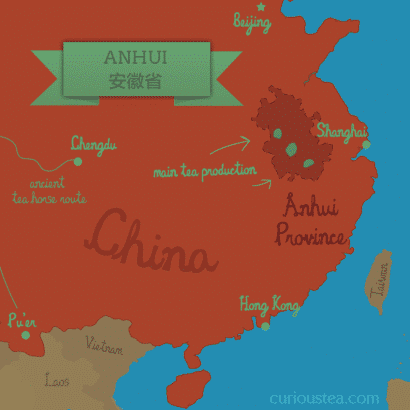 Huoshan Huangya is a lovely, delicate and complex tea and is the very first yellow tea to feature in Curious Tea subscription boxes. Yellow teas are amongst the rarest to come out of China and consequently command very high prices. 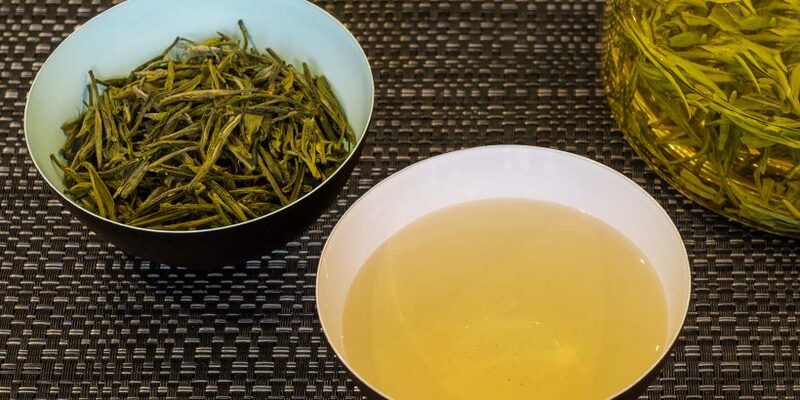 The manufacture of yellow tea is a process that is very similar to that of green tea (withering followed by steaming or pan-frying to prevent oxidation) with one additional stage. After pan-frying the tea leaves are gently heated (normally under a damp cloth or wrapped in paper) allowing them to oxidise very slightly through a process of non-enzymic fermentation. This step is repeated as many times as necessary to achieve the desired appearance and aroma. 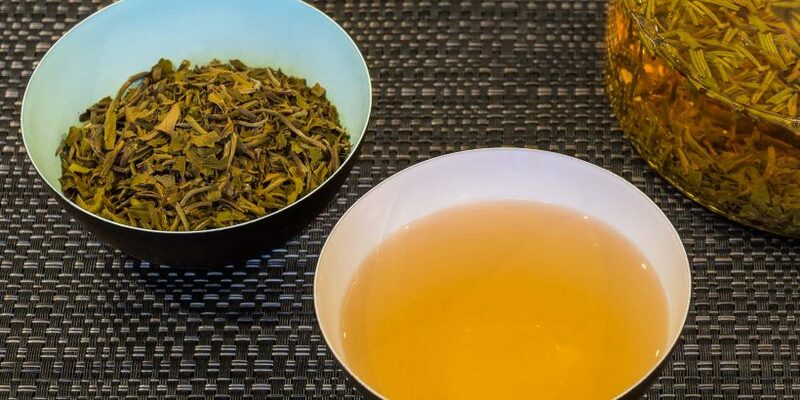 Yellow teas usually have a light yellow-green appearance and when infused produce a light and pale yellow-green liquor with a very gentle taste. Think somewhere between a very delicate white tea and a very delicate green tea! When we first sampled this tea, we just had to include it in a monthly box. It is featured in the March Light and Mixed subscription boxes. This tea comes from the Anhui Province of China and is produced using only the very tender buds, which are pan fried by hand. After the frying, it undergoes the extra characteristic step of slight oxidation to produce this very special tea. Huoshan Huangya has a large green leaf with a shiny appearance, similar to Mao Feng green tea from the same region. The liquor that the leaves produce is a pale yellow-green colour with a light, but long lasting, satisfying and complex flavour. This tea is best brewed with at 80c for 3-5 minutes. You can use glass teaware to enjoy those gorgeous green leaves during brewing. Brew multiple times and savour the complexities of this tea from each steep. This is a very unusual selection from Kenya, a white Lelsa Pai Mu Tan. 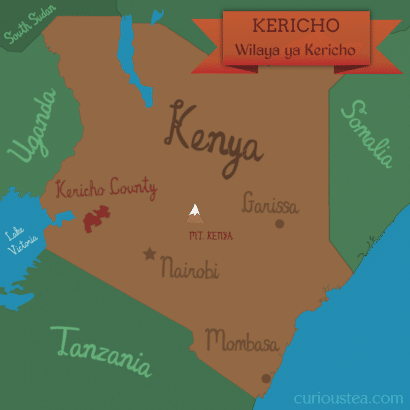 We believe that it is important to explore some other tea producing regions around the world and we decided to start with Kenya. Kenya is normally associated with production of tea that ultimately ends up in tea bags using CTC processing (Cut, Tear and Curl). But there are also some estates in Kenya that produce high quality tea using orthodox methods of tea production. Lelsa tea estate is located in the Kericho district east of the rift valley and is particularly famous for the white teas that are produced on the estate. We selected this Kenyan Pai Mu Tan as it makes an interesting comparison to the traditional white teas that come out of China and it is featured in our March Light boxes. This white tea is full of flavour for a white tea and will definitely appeal to those who find white teas to be too delicate. The dry leaf is light brown and slightly broken or chopped in appearance. It produces a pale amber liquor that is much fuller than a traditional Pai Mu Tan from China. The fragrance is that of dry grass and not unlike a Japanese roasted tea. This tea possesses a long lasting lingering flavour full of florals that is very smooth but with a slight astringency on the aftertaste. This tea is best brewed at 80c for 1-3 minutes. This is a somewhat unusual white tea but makes for an interesting take on a traditional Pai Mu Tan. 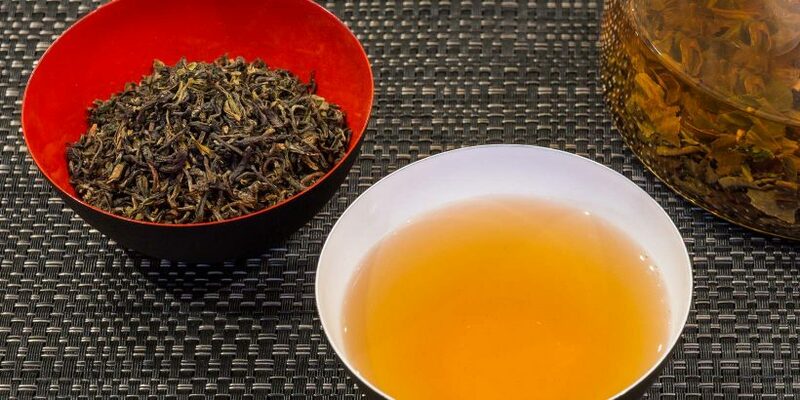 This lovely example of an autumnal Darjeeling comes from the Rohini Estate, which is located along the route that connects the towns of Siliguri and Kurseong. Surrounded by beautiful natural environment this estate produces from relatively young trees. The estate has had a chequered past, not actually producing any tea for a long period of time. Recently it has been replanted and is producing more and more interesting and quality teas. Autumnal Darjeeling, which is also referred to as third flush, is normally picked during the period October to November. These normally are more full bodied when compared to especially first flush Darjeelings but still have a light, delicate and sparkling profile when compared to a second flush. So it is possible to say that the flavour profile of an autumnal (third flush) Darjeeling is somewhere between the lighter first flush and the heavier second flush. We selected this Autumnal Rohini for our March Dark and Mixed tea boxes. Our aim is to showcase a tea that is familiar but to show how the plucking time can affect the tea flavour and profile. In those terms this is a great example of what autumnal Darjeeling is like. Autumnal Rohini has a slightly mixed neat dry leaf with some tip. The liquor that the tea produces is a little bright and has a good smooth floral autumnal character with hints of grape and plum. Here we have a top grade Assam from the Doomni tea estate in Nalbari District of Assam in India. Like with most teas from Assam, this is quite malty in flavour but with some caramel and barley notes. Some of you may have already sampled another Assam Doomni that was featured in our January Dark tea boxes, which was a second flush tea. This by comparison is a more refined version of an Assam from the Doomni tea estate and is the very best they produce. We selected this Assam Doomni Special for our March Dark tea box. The dry appearance of this tea is stunning, with a black and gold leaf with lots of tip. The resulting liquor is a deep red and the flavour is full of Assam maltiness with a strong caramel aroma. There is a hint of roasted barley in the background, prompting us to compare this tea to a smooth highland whisky(!) during our tea tastings. A truly superb Assam! This month we were particularly fond of the Assam Doomni Special here at Curious Tea and had a lot of fun pairing it with different types of food. It worked notably well with smoked salmon, red meat and rich desserts. Try it with sticky toffee pudding as the caramel in tea compliments this kind of dessert perfectly. We really hope that you enjoyed the tea selection for March and are looking forward to what we have in store for your April selection. Incidentally, if you are reading this but do not subscribe to our monthly tea club and would like to receive our future selections, you can sign up to our box deliveries in just a few clicks. We ship worldwide from the UK.